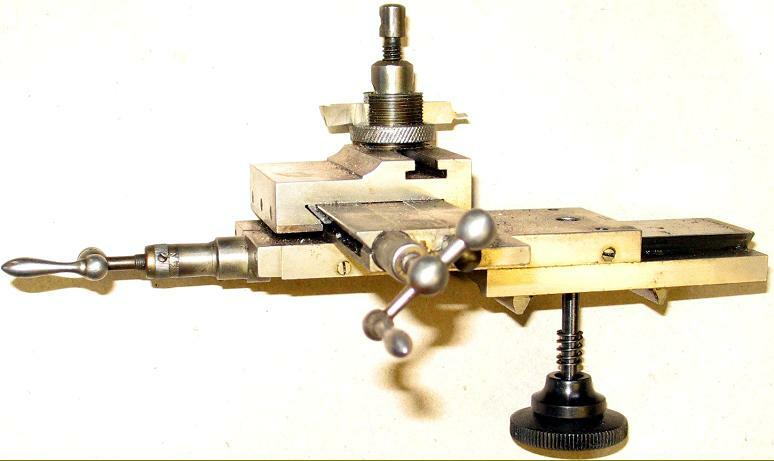 Wolf Jahn 50 mm centre height by 300 mm between-centres heavily-built WW-pattern (Webster Whitcombe) lathe. 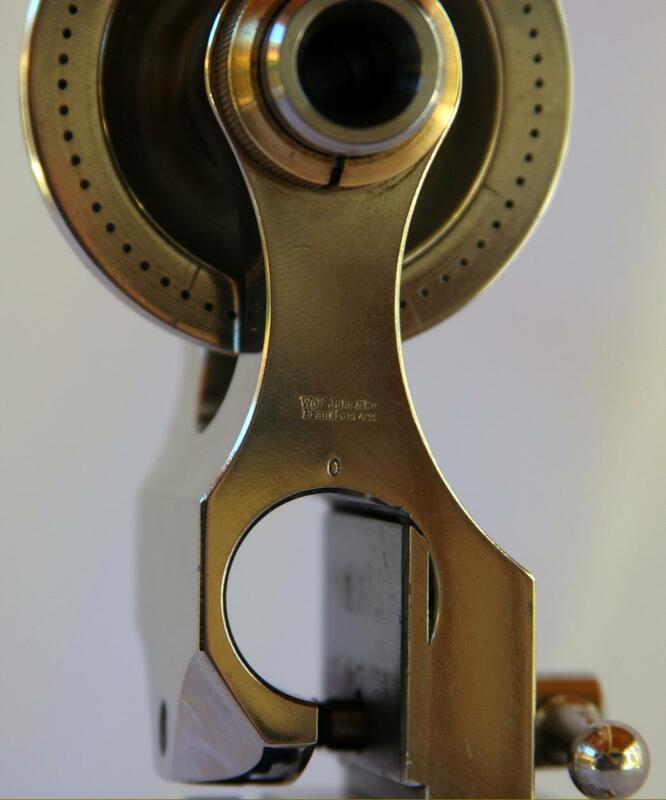 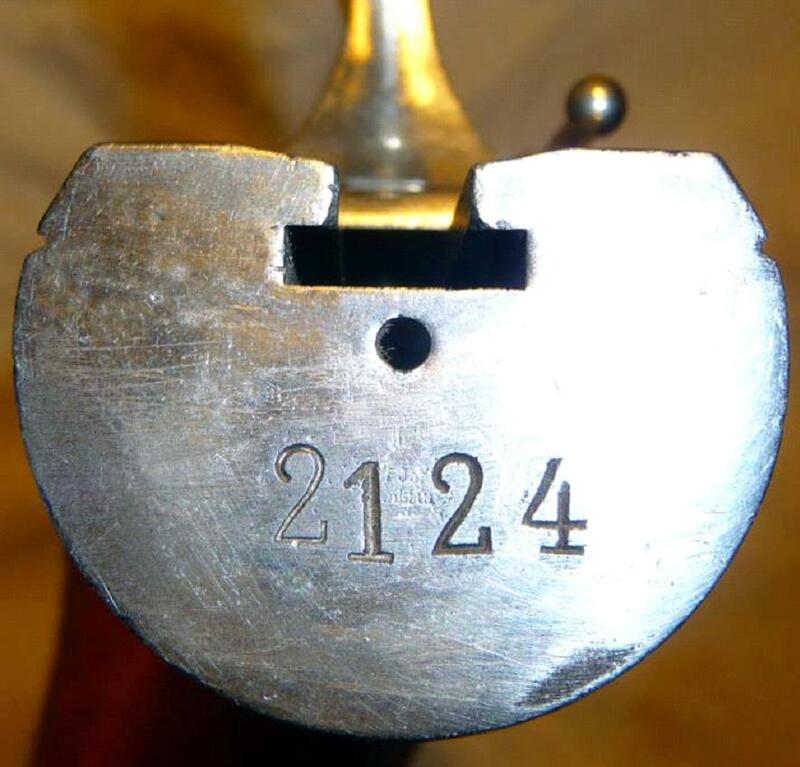 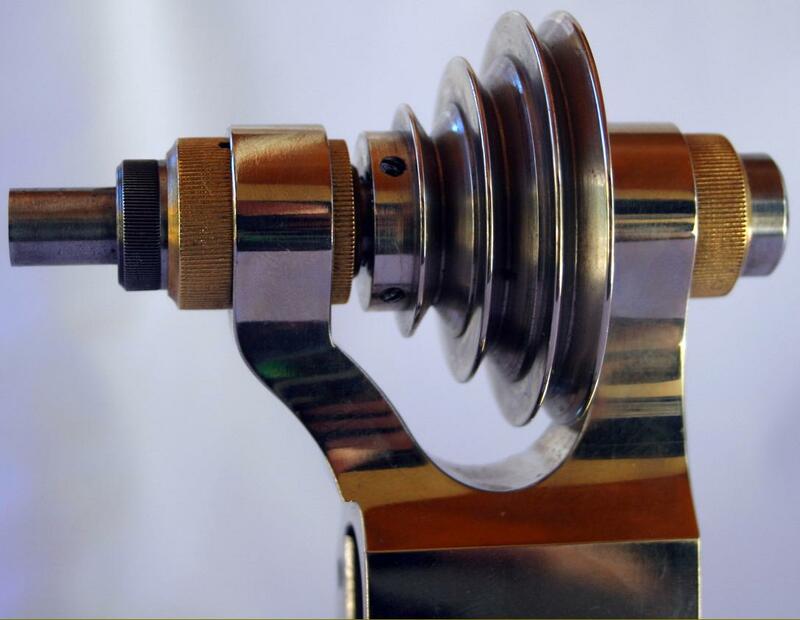 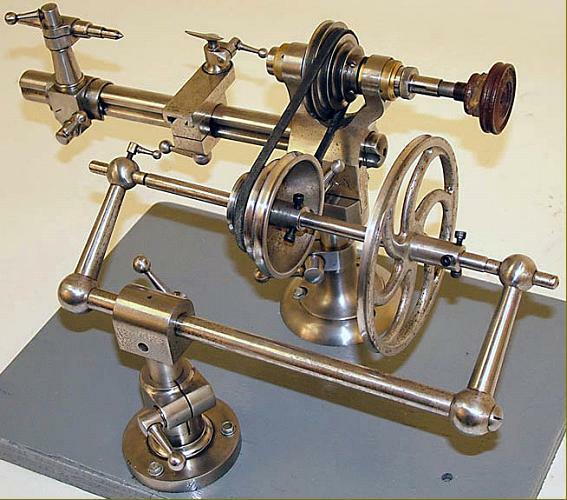 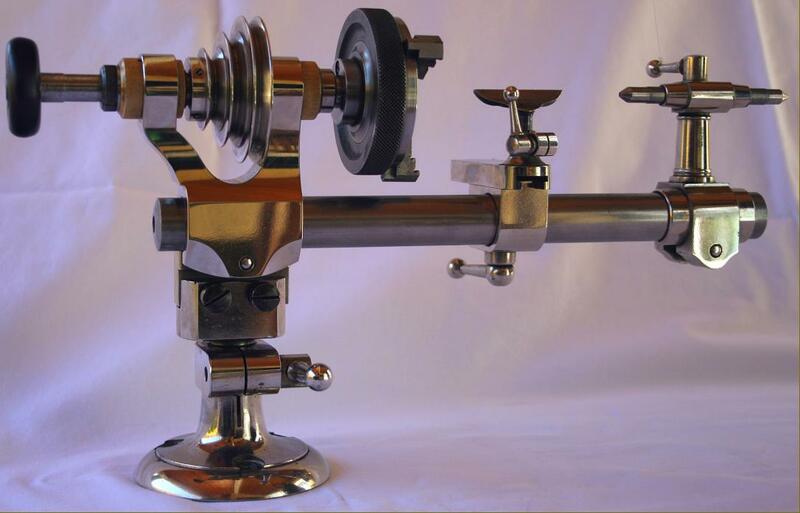 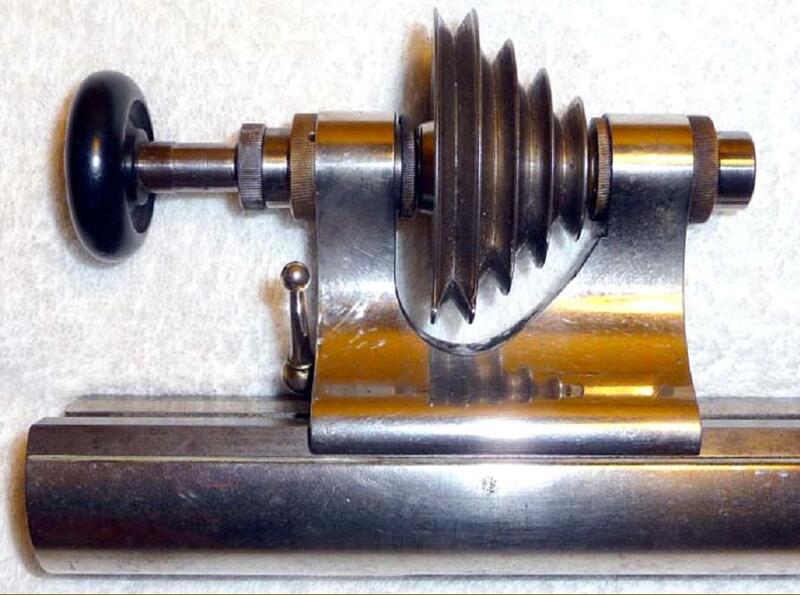 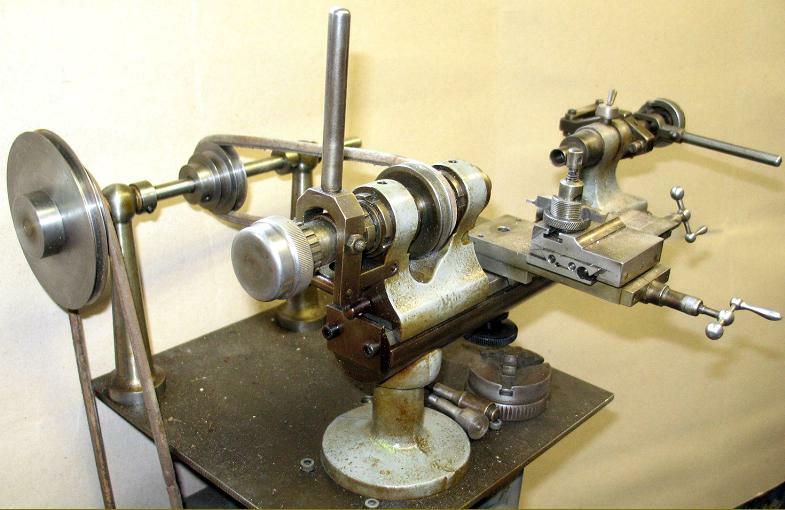 Possibly supplied for production work, the 2-step headstock pulley (with, surprisingly, only a slight speed difference between the two positions) and lever-action collet closer and tailstock were the sort of fitting commonly found on lathes intended for light-duty, precision manufacturing. 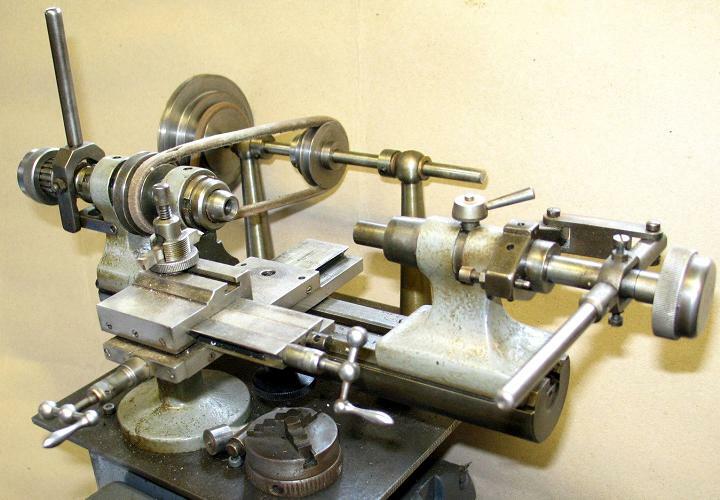 However, as the lathes were built take interchangeable accessories it was always possible to convert them for ordinary centre turning. 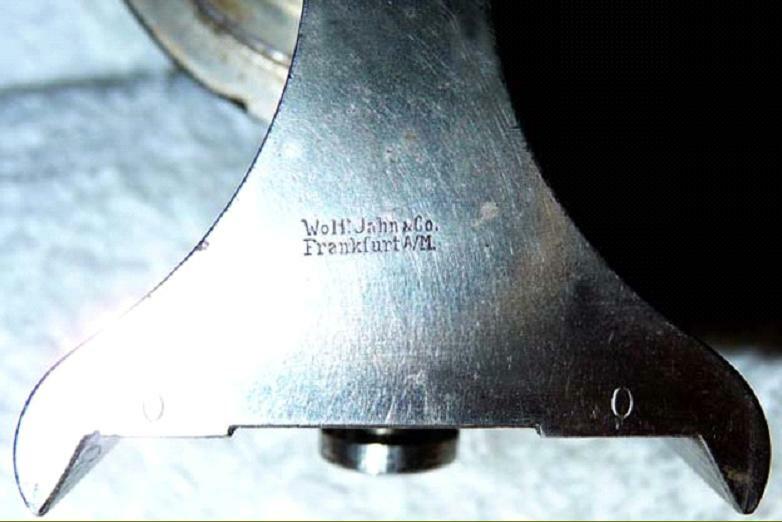 Although a genuine Wolf, Jahn product, the makers appear to have been very reticent about displaying their name, the only clue to the machine's manufacturer being a tiny, hard-to-find stamp in the end of the bed. 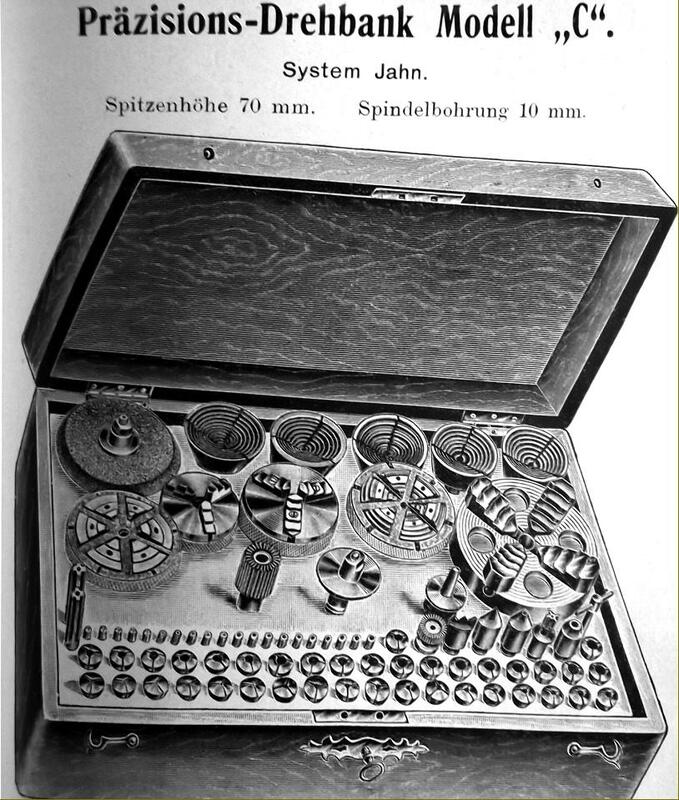 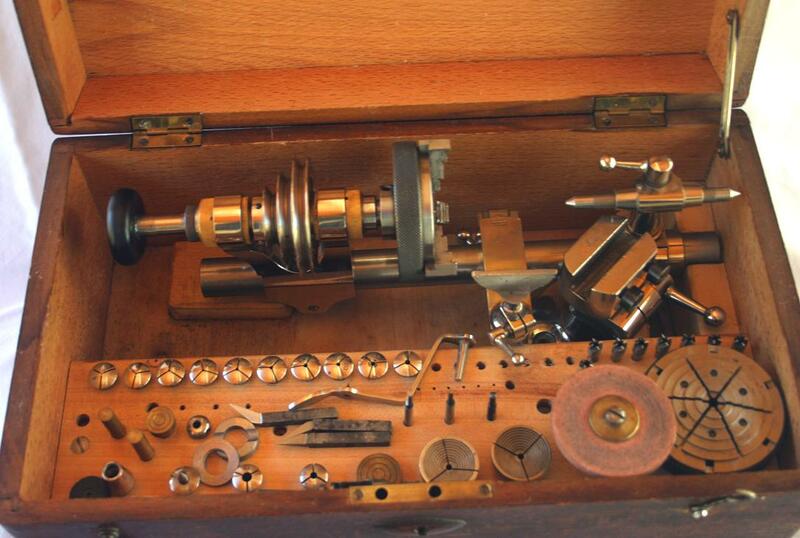 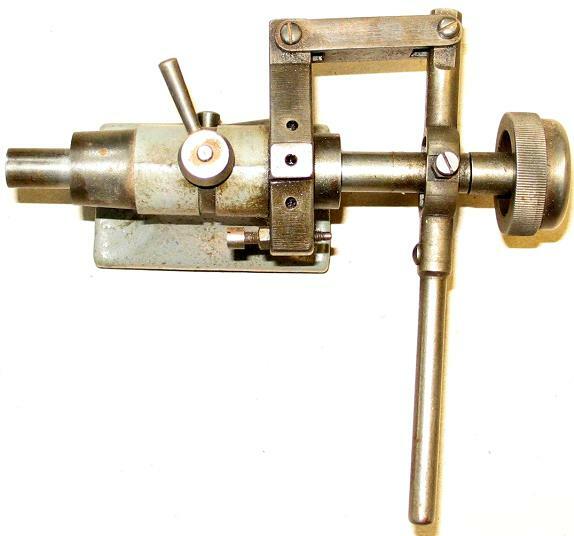 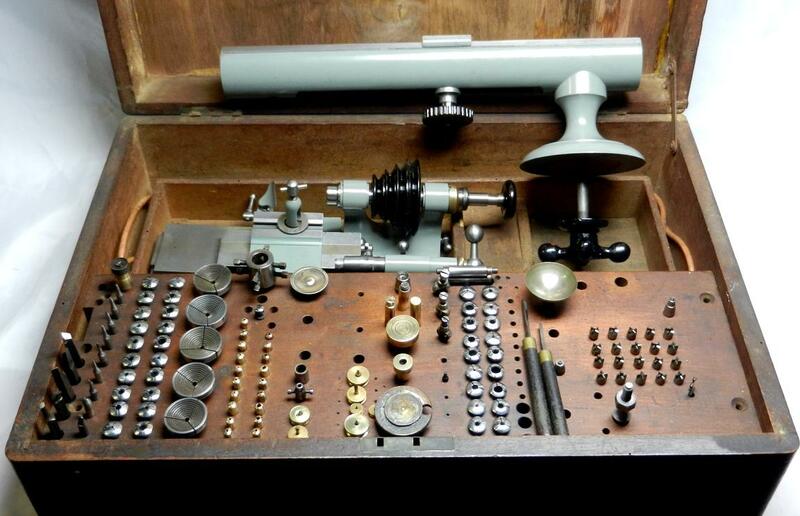 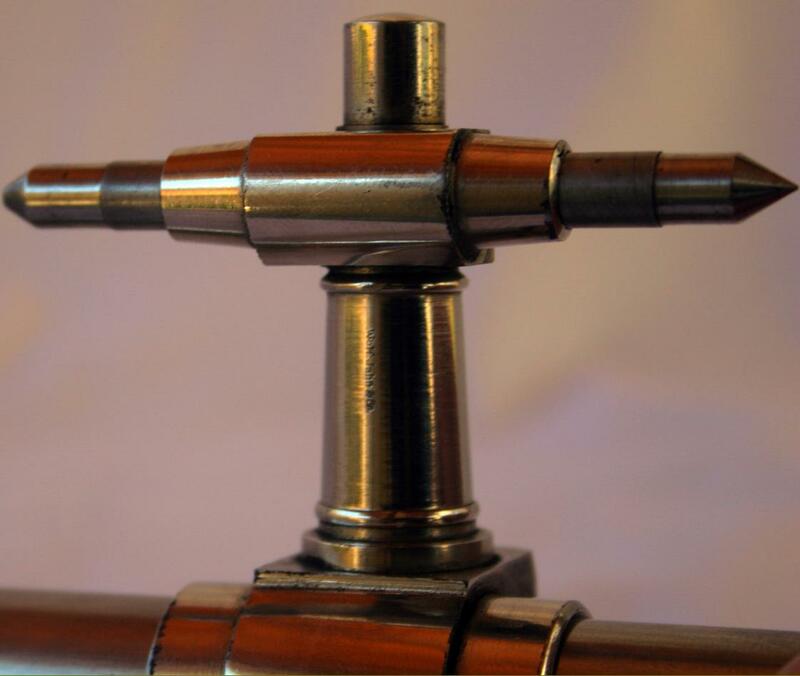 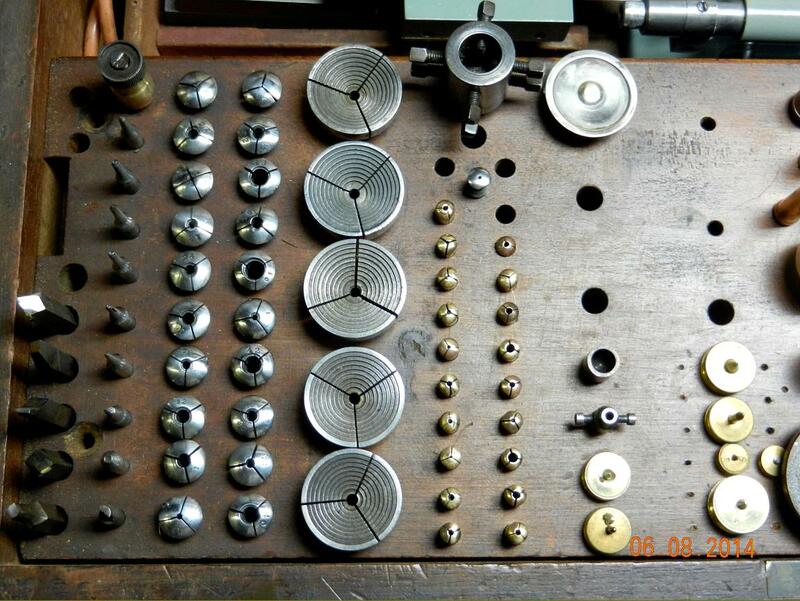 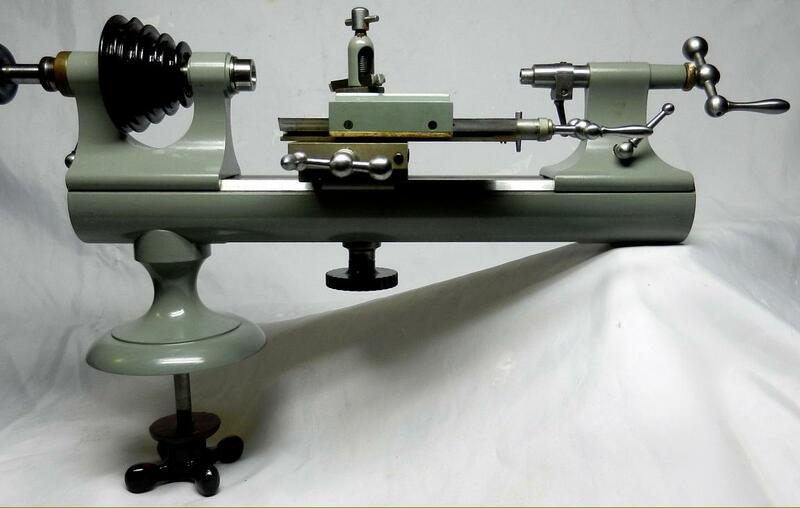 The 8 mm collets reflected the wide variety of such fittings available from various manufacturers and, although a generous size for a watchmakers' lathe would, like all fitted to WW-specification machines, have been intended for rather heavier duty work than the company's 6 mm collet "Geneva pattern" model. 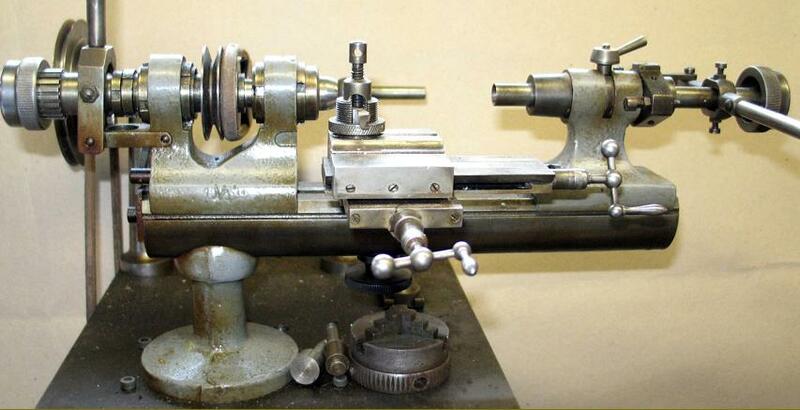 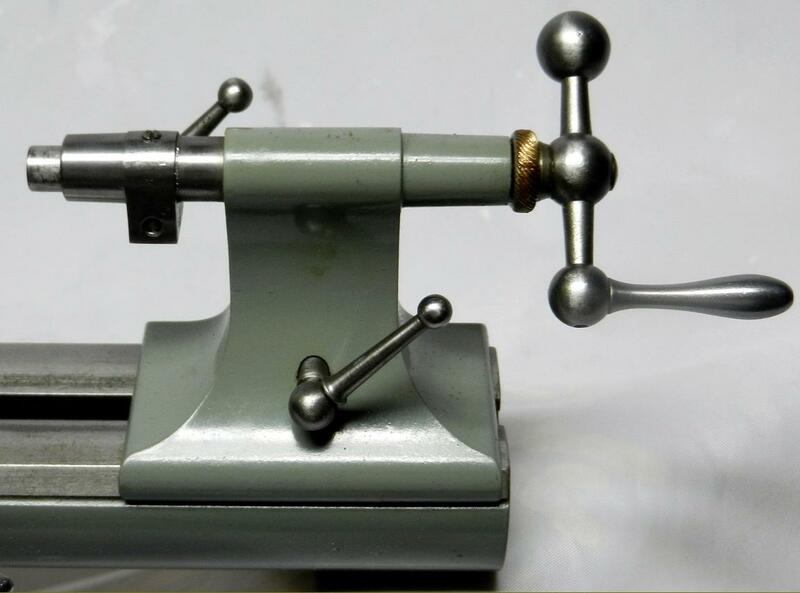 The collets were exactly 34.5 mm long with a maximum diameter of 13 mm--yet the thread was an English-pattern 40 t.p.i BSW X 0.270" - almost the same as the 8 mm Derbyshire WW lathe and similar to Boley-Leinen collets. 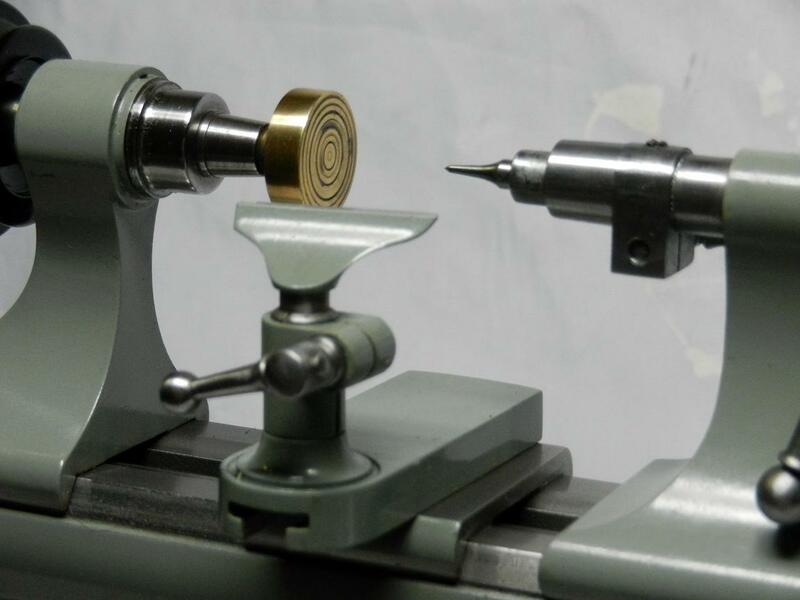 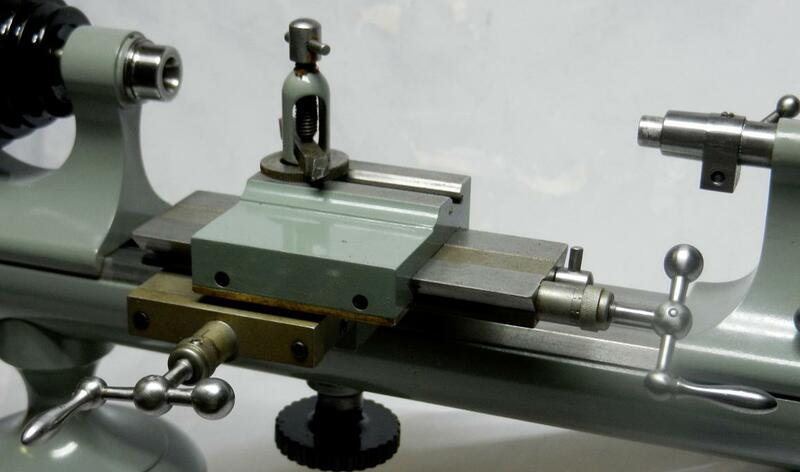 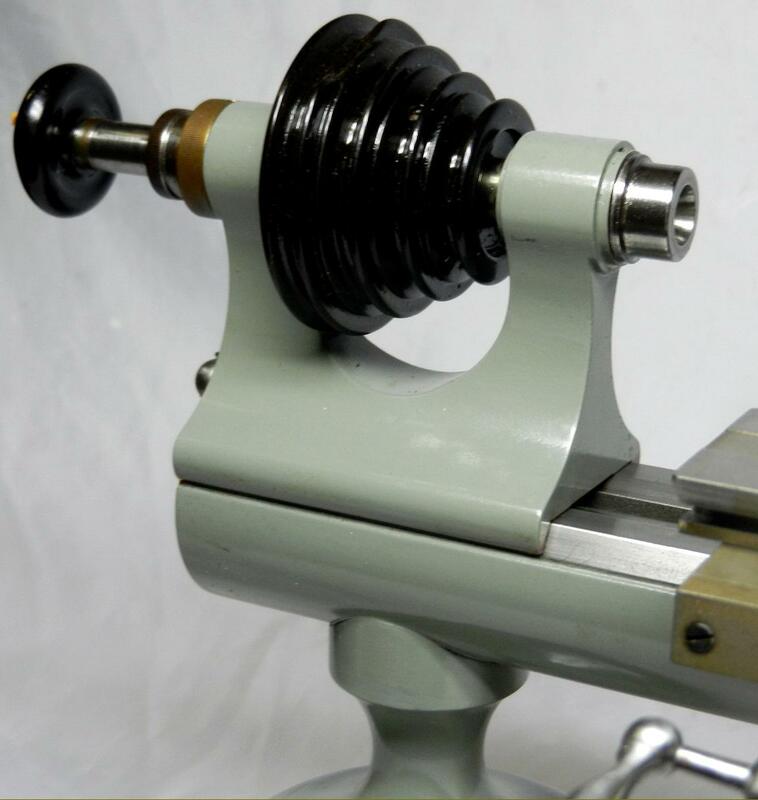 However, this contrasts with the 32 mm long G. Boley 8 mm collets, with their maximum diameter of 12 mm and a 0 7 mm diameter, 0.625 SI pitch draw thread - though this pitch is also 40 threads per inch in every 25 mm. 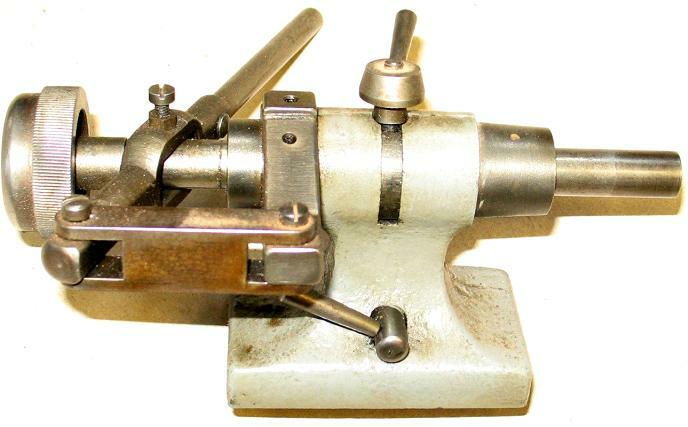 Illustrated lower down this page is an unusual sliding-spindle 50 mm Wolf Jahn designed to undertake "chase" screwcutting.